Will They Ever Trust Us Again? 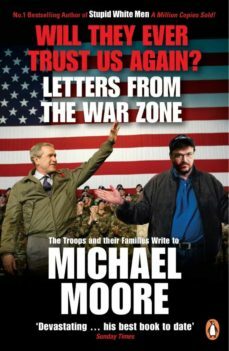 brings together hundreds of never-before-published letters that Mike has been sent - from GIs serving in Iraq and Afghanistan, from troops in US bases, from their mothers, wives and friends back home, from veterans whove fought around the globe - to show the reality beneath the political spin and TV propaganda. Their politics may vary from the Bushwhacked to the patriotic, but they all feel let down and lied to by government, they know the human cost of waging wars for the rich - and now theyve had enough. Explosive, angry, moving and funny, this book shows whos really winning the battle for hearts and minds on the front line.